There is nothing more frustrating than a broken air conditioning unit. As temperatures rise, your air conditioner may be cooling fine, but when the first heat wave comes in, our phone starts ringing off the hook. Call now for $89 pre-season inspection from our qualified air conditioning repair specialists in Denver. If any repairs are recommended we will quote the repair at a discounted rate or waive the inspection fee if repairs are made. Best of all, if your system breaks down during the season after our service, we will return at no charge to investigate and have your system up and running in no time. In addition, all of our repairs come with a two year warranty. 1. First, it starts with a whole-house inspection/load calculation to determine the proper size of air conditioner for your home. Improperly sized units break down more frequently, and cause uncomfortable temperature fluctuations. 2. The second step is to select the proper features. 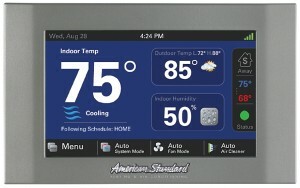 If you plan on being in your home for five years or more, you may want a higher efficiency unit with more features. If you plan on selling your home soon, you may not be in your home long enough to realize the return on your investment, thus it may be wiser to use a less expensive model. 3. Third, high-quality installation uses the proper procedures to extend the life of your system, is performed by qualified NATE-certified installers, and meets or exceeds all local and state building codes. 4. 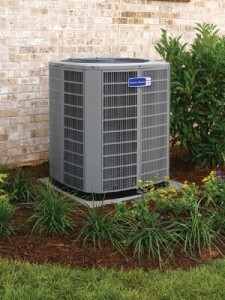 Fourth, warranty coverage is one of the most overlooked aspects of an air conditioner installation. If you spend less money on the original installation, but have little or no warranty after the first year (very few Air Conditioners fail in the first year), you may be left with an expensive service call in a few years, especially if the installation was substandard. Hughes Mechanical follows all of the four basic aspects of a good installation, every time. To ensure we have the best service possible, we use high quality equipment from Lennox, Goodman, and many other brands. Contact Hughes Mechanical to schedule your appointment today!